I have resolved the computer picture issue. Yay. So, now I can share lots of pictures with you. 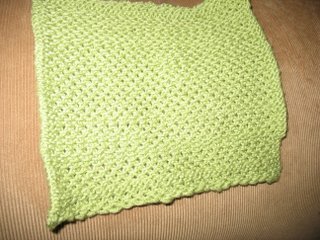 I posted two more dishcloths for the dishcloth KAL. 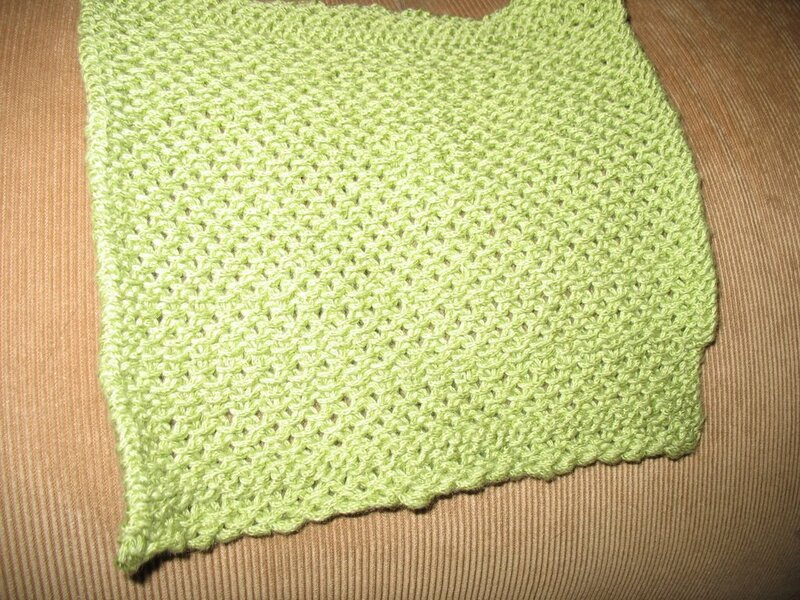 I finally sent off my square for the Grandmother Purl blanket. I made it with the same Kiwi TLC Cotton Plus as I used for Amazing Lace. 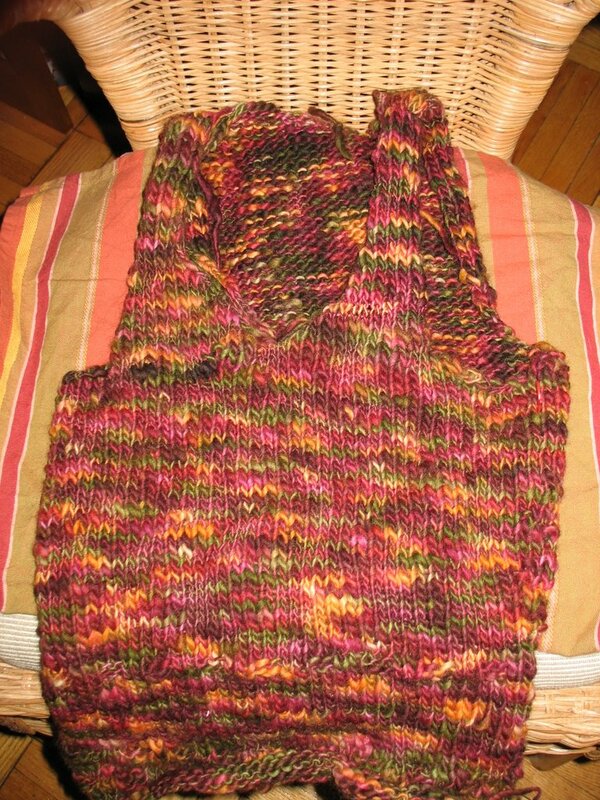 The square is Chinese waves, with some accent garter stitch rows. Then, as previously referenced, the scarf I made from the yarn my birthday buddy sent me. 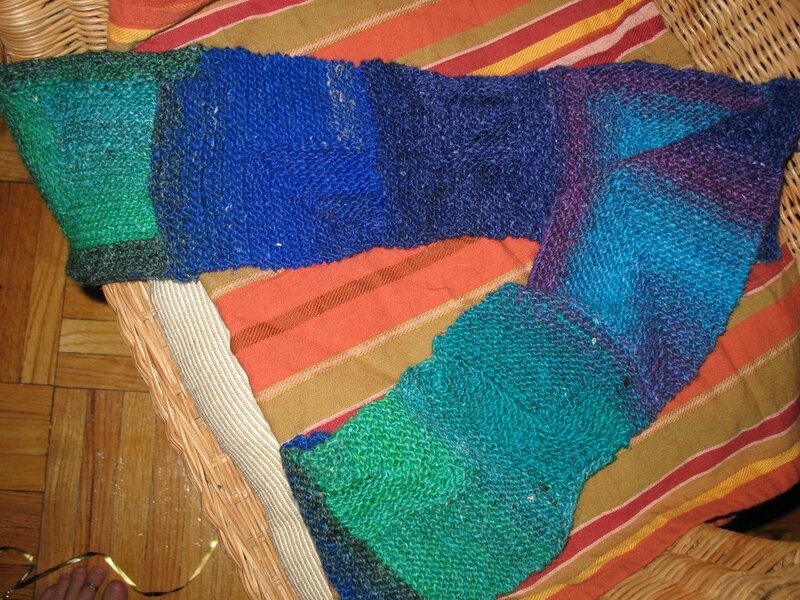 I haven't finished up the edges yet, I have a border planned with some more Noro. And the also previosly refenced Halloween yarn - also known as Manos Del Uruguay Woodland. It started as a vest. I have enough yarn that it is going to get sleeves as soon as I detangle the yarn.